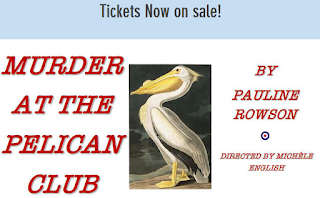 My 1940 set murder mystery play, MURDER AT THE PELICAN CLUB is to be performed by the Winterbourne Players, Bristol, England from 22 to 24 November 2018. This brand new detective play, Murder At The Pelican Club, is an exciting 1940s murder mystery in the vein of the classic crime thrillers of the 20th century, an Agatha Christie style detective drama that has audiences guessing ‘who done it.’ Written in a serious vein but with a touch of humour, the play takes place in the Pelican Nightclub and Restaurant in November 1940. It can be performed on stage, or in a restaurant with the audience all round. Only one set is needed and seven actors. If performed in a restaurant, other supporting actors can be planted in the audience as diners if required. And the audience can be involved in guessing who done it. The Winterbourne Players is an amateur dramatics group, based in Winterbourne, Bristol. They present two productions a year, one in May and a second in November. In MURDER AT THE PELICAN CLUB on the 22nd, 23rd and 24th November they will be transporting the audience back to 1940 where they will be asked to transform themselves into a Poirot or Miss Marple to guess who committed the murder. There will be music, murder and a traditional wartime supper and the audience can also dress in 1940s costume if they wish. The play is set in November 1940. Denmark and Norway have been invaded and the blitz has been raging in London since 7 September 1940. Men up to the age of 27 have been called up, which means that the old and gruff Inspector Doyle is still on the job. Maisie Duncan and Tillie Trotman have volunteered to do their bit for the war effort. Maisie because she was stuck in a boring office job and wanted excitement, and Tillie because she thought she’d look fetching in a uniform and be sent where lots of men would idolize her. Instead they both get sent to the munitions works. Before the play opens a lunch time talent concert has been organised in the munitions factory where Maisie and Tillie work. Tillie wins it and she’s immediately signed up by agent and impresario, Maxine Hunter. Catapulted to fame by radio appearances and concerts, Tillie is now a forces sweetheart. This is her last performance at the popular Pelican Club and Restaurant before travelling overseas to entertain the troops. Someone, though is intent on stopping her. 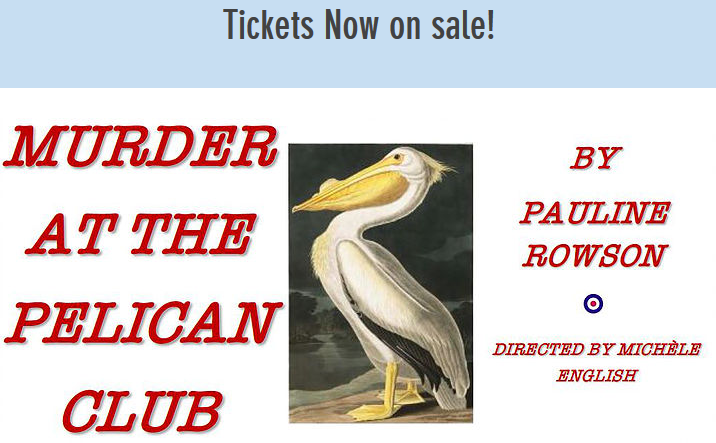 'I'm delighted the Winterbourne Players have chosen to stage MURDER AT THE PELICAN CLUB for their November production. It sounds as though it's going to be an exciting and entertaining performance. 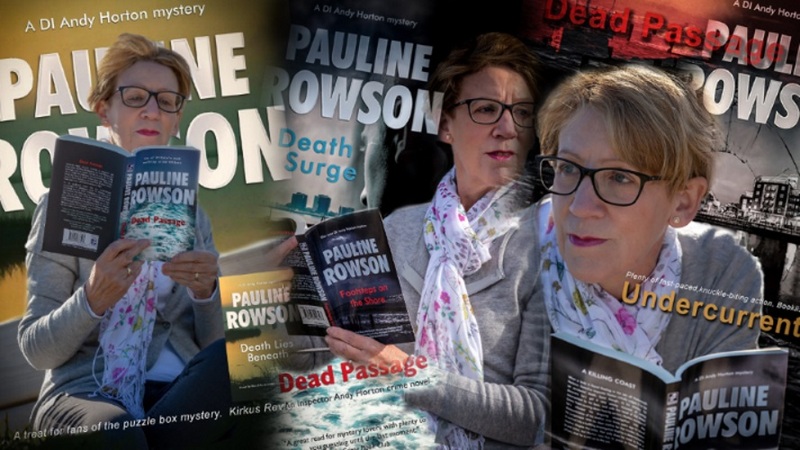 Dead Passage, number 14 in the Inspector Andy Horton crime series, will be published in paperback and as an ebook on the 18 October 2018. It is available for pre-order.